Lee's Summit Subaru is a family-owned auto dealer that has been serving the communities of Kansas City, Blue Springs, Independence, and Lee's Summit for nearly half a century. We offer one of the widest ranges of new Subarus in the state, beside a huge range of used Subarus. Our financing team is known for being able to get our customers some of the best terms possible, and our service and parts departments are well trained and well equipped to look after your automobile. We aim to be your dealership now and in the future, and we do this through exceptional customer service and a dedication to the Kansas City community that you won't see anywhere else. The latest generation of Subaru vehicles has been winning awards across the board in design, style, utility, economy, performance, and safety. Come test drive the 2019 Outback, Forester, Legacy, Impreza, Crosstrek, WRX, or BRZ at one of the largest Subaru dealerships in Missouri and Kansas. Our knowledgeable and courteous staff can get you up to speed on all of the new features on the all-new 2019 Subaru models, along with all of our new Subaru special offers. We invite you to order your own Subaru just the way you want it. Should you be looking to trade in your current vehicle, you can value your trade online. We guarantee to offer the best trade-in value for your vehicle and get you into a brand new Subaru with the minimum amount of fuss. Call to schedule a test drive and we'll customize your Kansas City Subaru experience. Own a reliable, durable and economical Subaru vehicle at a discount by purchasing a used Subaru near Kansas City. We offer one of the widest ranges of pre-owned cars in the entire area from Kansas City to Independence, Overland Park to Blue Springs. We highly recommend browsing our pre-owned car inventory and draw your attention to our certified pre-owned program. With a certified used Subaru from Lee's Summit Subaru, you get a full 7-year 100,000-mile warranty, 24/7 roadside assistance, and discounts on insurance. Best of all, every certified pre-owned Subaru in our wide inventory has undergone a 152-point safety inspection that ensures that everything about the car you buy will be as good as when it rolled off the showroom floor. We offer trade-in for your current vehicle and a CarFinder service that lets you hunt down the perfect car for your needs at a prices you'll love. Lee's Summit Subaru is a one-stop-shop for all of your Subaru needs. As such, we offer vehicle financing in-house. We offer financing for a Subaru in Kansas City whether you are purchasing a brand new model or one of our excellent used models. We always find a way to get the best deal for you and can set out the terms of any financing contract you enter into in a clear and simple way. To save even more money for you, we offer numerous leasing options and special finance incentives direct from the manufacturer. Take a look at our reviews and you'll see that Lee's Summit Subaru never engages in any hard sell. Our business stems from building customer relationships for life, so we believe that after you've tried our hassle-free financing service for yourself you'll come back to Lee's Summit Subaru time and again in the future for all of your automotive needs. With our simple online financing application, you can find yourself pre-approved for financing in a matter of seconds, ready to drive away in the new Subaru or used vehicle of your dreams. Owning a Subaru just begins when you drive your new car off our lot, and we're here for you for all of your ongoing servicing and maintenance needs. Our Subaru technicians are highly trained and certified, and our service center has the very latest tech to work on your Subaru. 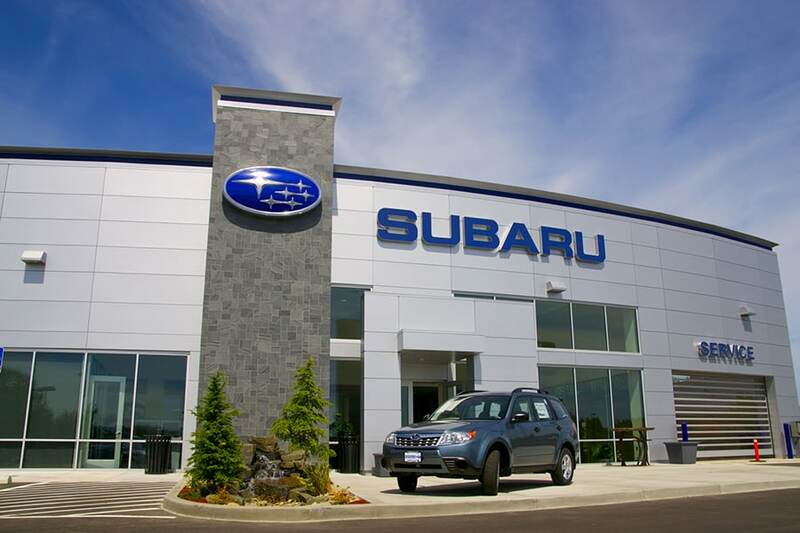 Choosing Lee's Summit Subaru for all of your maintenance and repairs means the value of your vehicle will always remain high, as we are a certified service center that uses only genuine OEM Subaru parts. We offer an express service with no appointment necessary that includes a complimentary multi-point inspection. Scheduling a service is also simple with our online service scheduling. Lee's Summit Subaru also carries one of the widest ranges of Subaru parts, Subaru tires, and Subaru accessories in the Kansas and Missouri areas. Get in touch with our parts center, and we'll be able to supply or source anything you need for your Subaru. Let Lee's Summit Subaru be your Kansas City Subaru Dealer! BOOK A DETAIL AT KANSAS CITY'S NEWEST AUTO DETAILER!